This is for the printed cloth only. 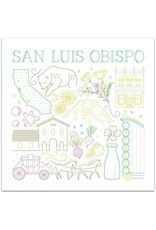 Kits (which include the required embroidery floss, embroidery hoop, needles and threader) will be available soon. 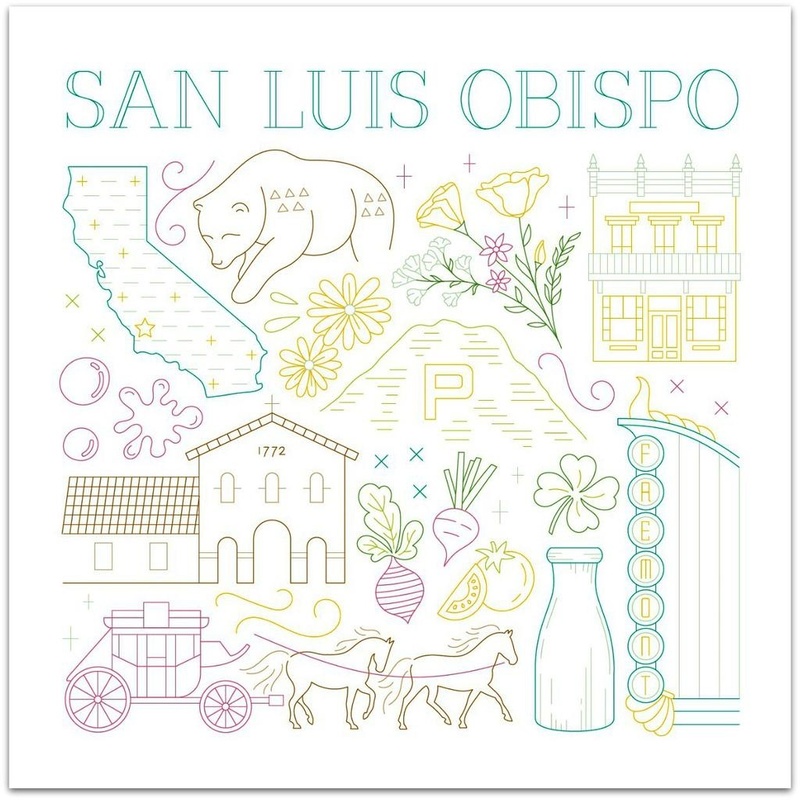 Email us if you would like to be notified when the kits are available. 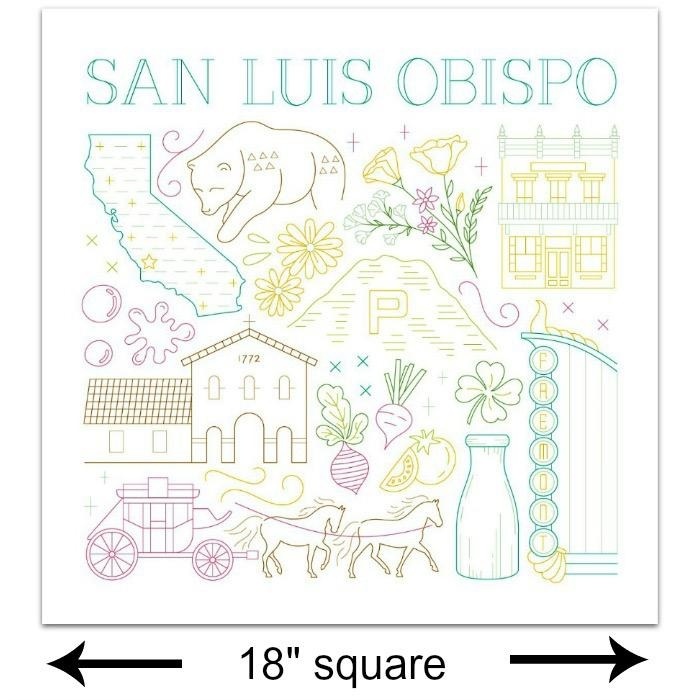 While we await the assembly of the full kits, sets of the suggested embroidery floss can be purchased here. 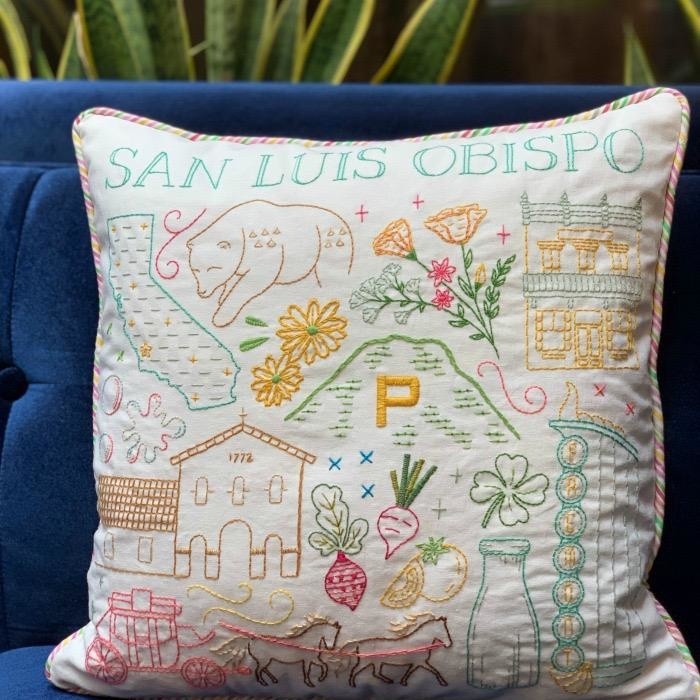 Designed by SLO native and graphic artist Cedar O’Reilly, the images on this cloth show some of our favorite spots in the city of San Luis Obispo. 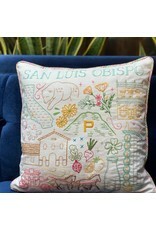 The cloth is not embroidered, but comes ready to be embroidered by YOU. 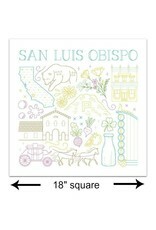 The colors on the cloth can be used as a guideline, but you can choose whatever colors you like. 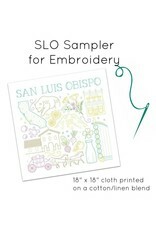 Once complete, you can turn your SLO City Sampler into a pillow or tote bag, or just hang on your wall to be admired. 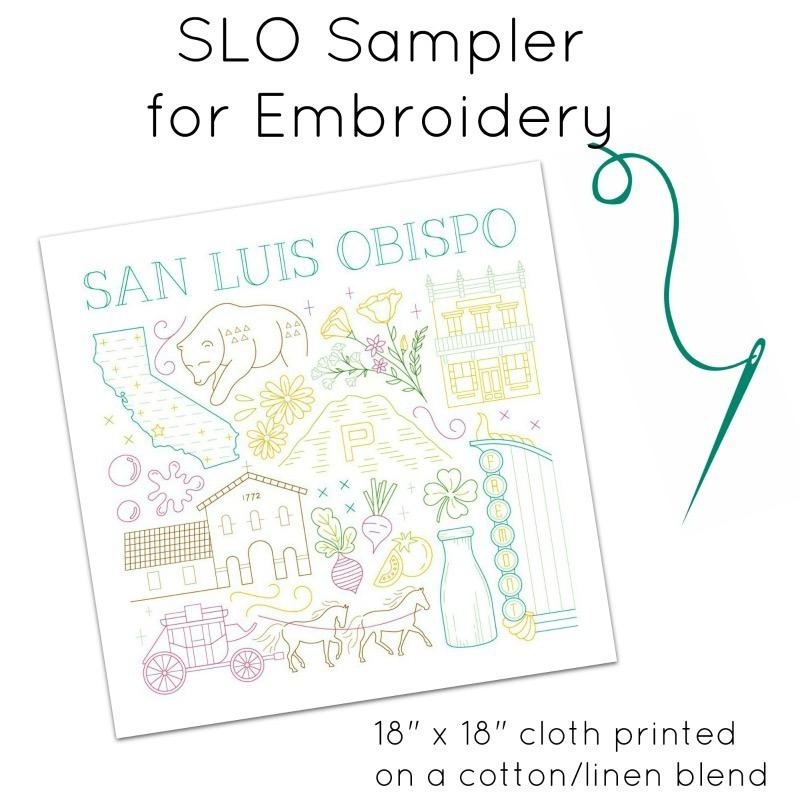 * For best results, we recommend backing this sampler with a second piece of fabric (cotton or linen) before placing in the embroidery hoop.